There is truly nothing like watching a scaled-down model of beautiful trains rolling across mini tracks through miniature trees, tunnels, and landscapes, which is why the railroad modelling scene is considered to be one of the greatest features of the modelling world. 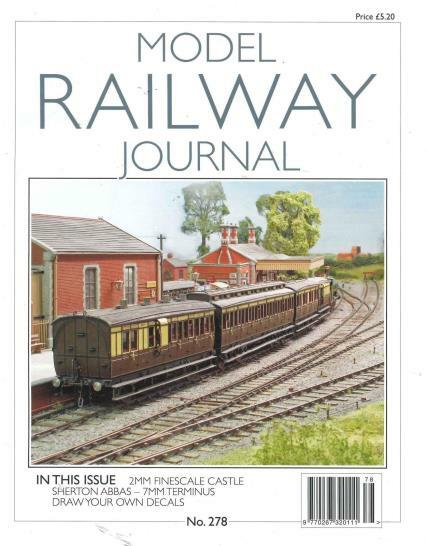 Buy a single copy or subscription to Model Railway Journal magazine. Each modeller takes keen precision and strong passion for creating these intensely wonderfully models with fully functional trains, and therefore Model Railway Journal is the greatest magazine to compensate for this love and passion for rail modelling. If you have ever wanted to make your own model trains and railroads, or if you are just looking for new ideas and projects, than Model Railway Journal will provide you with everything that you have ever needed or wanted to know about this fascinate sphere of modelling. It is catered for both beginners and experts, and is full of expert tips, techniques, and professional advice to help you improve your modelling skill and take your model trains and railroads to the next level. A major feature of this magazine is the detailed and practical approaches that you can utilize for the creation of your next model railways. The advice is easy-to-follow but also offers detailed guides for the experts who take their model railways very seriously, producing massive railways surrounded by incredibly detailed landscapes. This is the only magazine catering exclusively for the finescale railway modeller. I'm delighted with the high quality of this magazine as far as content goes and also for it's absence of advertising filler. It's the best model railway magazine I've read in quality and content. Fine scale modelling at its best. Consistent high quality of production and articles. Leaves the others for dead!